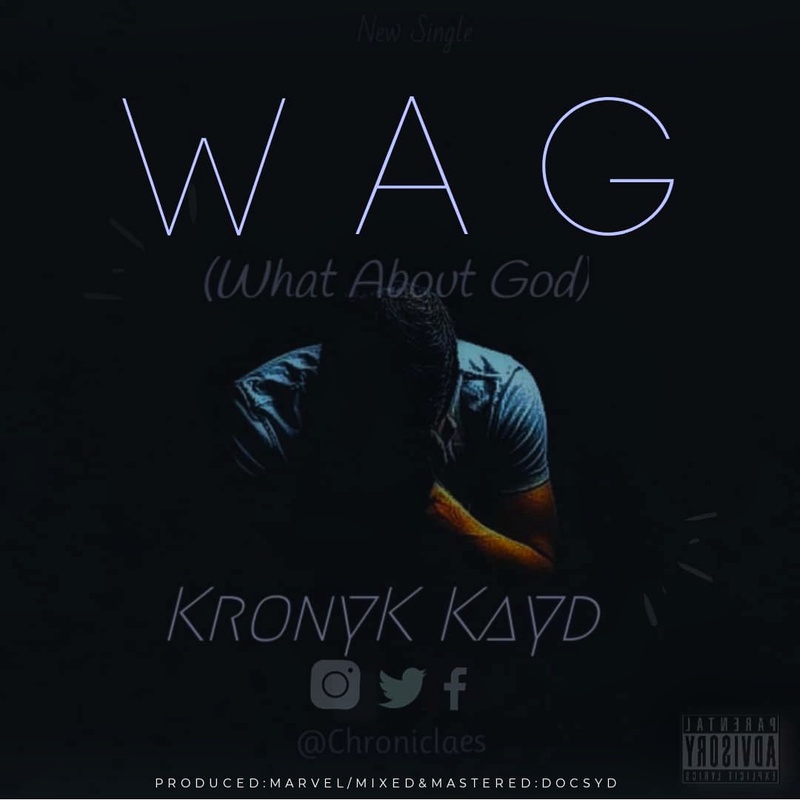 KronyK Kayd also known as (Cade ”Kayd”, Chronic ”KronyK” and Khroniclaes’ ”Chroniclaes”) with real name Akowe, Moses Daniel based in Northern Nigeriahas released a new song titled WAG meaning ‘What About God’. According to Kayd WAG talks about the life story of an imaginary character who goes by the name of Mr Peter Hanson. Peter Henson grew up in the hood with his mom (a strong devoted Christian who brought her only child up in the way of the Lord) and he loved his mom so much because she was there for him, since his dad was killed before he was birthed. He swore to obey his mom and work hard in life to give the family a name but all these changed when his mom died and he is here telling us his story in this song.